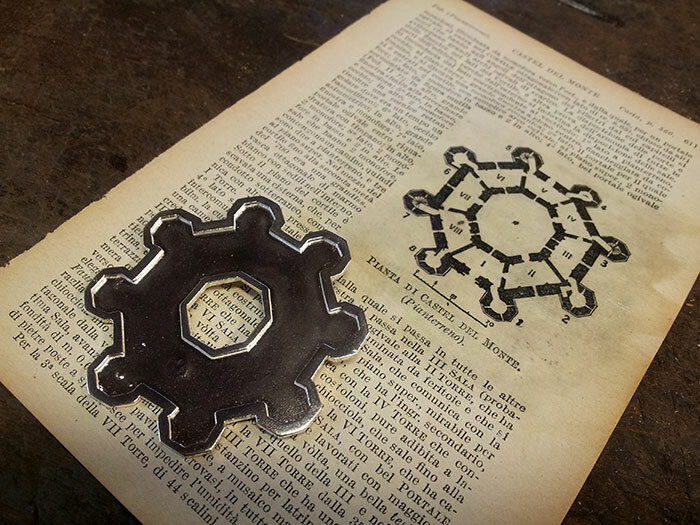 In my ongoing series of pendants from architectural plans of Italian villas, fortresses, and castles, I came across an old travel guide with the unique plan of Castel del Monte, located in the region of Puglia. 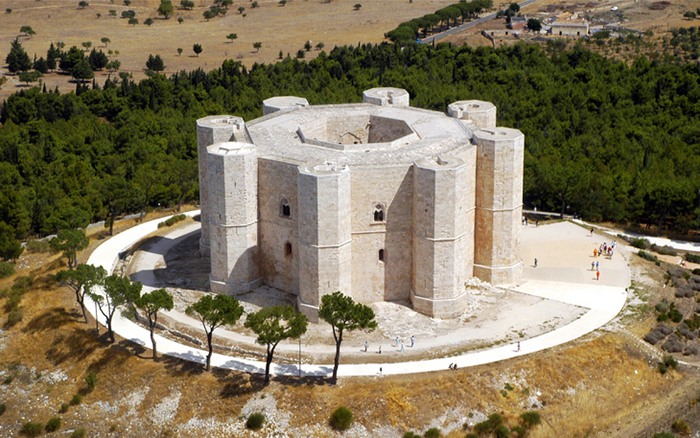 Castel del Monte (Italian for “Castle of the Mountain”) is a 13th-century castle located about 30 minutes drive South of Andria in the Apulia region of southeast Italy. It stands on a 540 meter high hilltop, where it was constructed during the 1240s by the Holy Roman Emperor Frederick II, who had inherited the lands from his mother Constance of Sicily. In the 18th century, the castle’s interior marbles and remaining furnishings were removed. The octagonal shape of this medieval citadel was a symbolic nod to Islamic architecture, and although it was probably never actually used for defense, is was instead a message of peace between the western and eastern worlds. Far ahead of its time, the design of this castle included indoor “plumbing” by use of caught rain water. The site was made a UNESCO World Heritage Site in 1996. 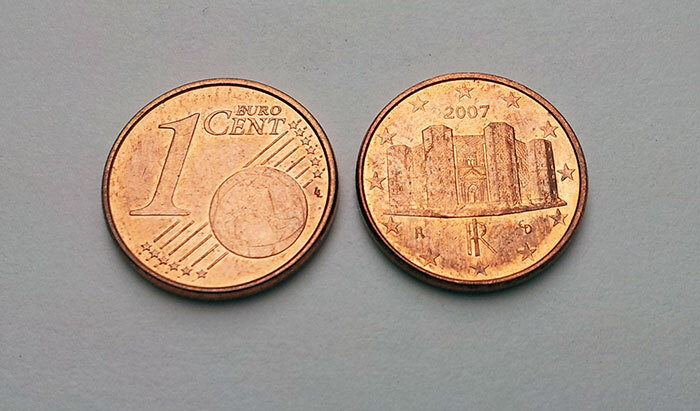 It also appears on the Italian version of the one-cent euro coin. 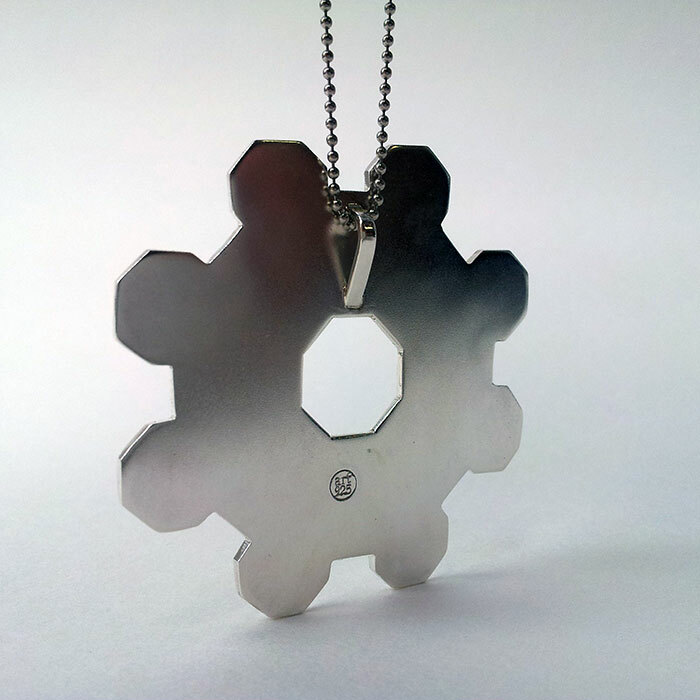 The pendant I made is a simple frame in sterling silver with the plan from the vintage book page set into resin. 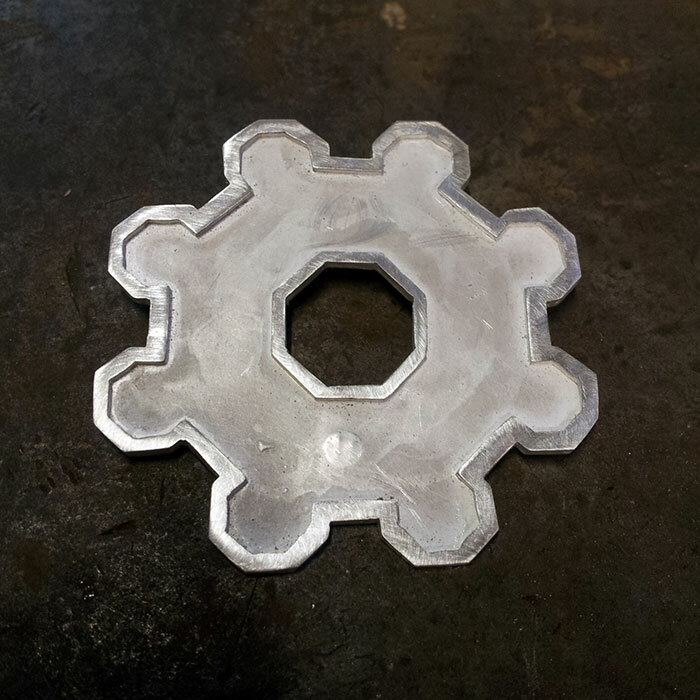 The shape was meticulously hand-sawed and filed to fit the printed floor plan of the building. 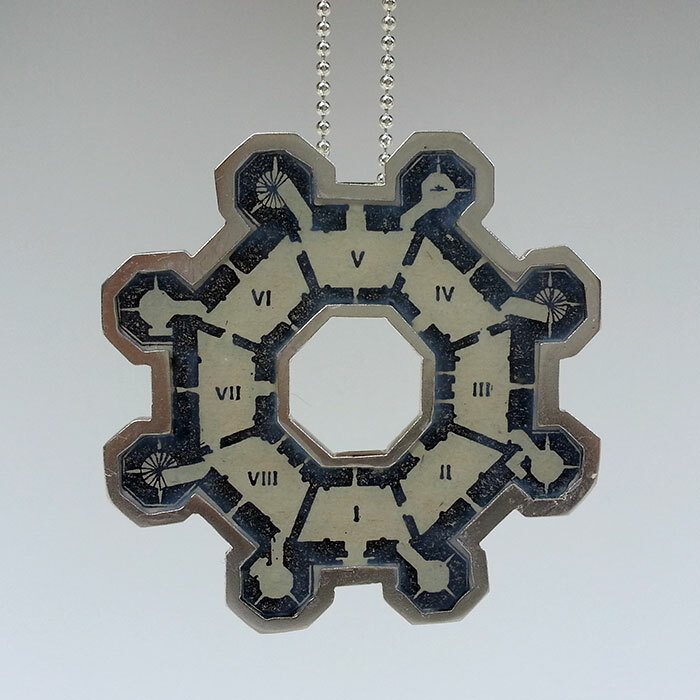 Related: see the Barletta Castel Pendant.